“If you want to discover the Ten Filthy Secrets to Get Rich Quick… read this book today!" Hi, my name is Joshua Benton. And today, I’m looking for 300 private investors to test a professional investment secret that has helped some of the best investors in history succeed… I call it The Wealth Secret of Columbia Room 305. And one of the most famous investors built his 58 billion dollar fortune using this SECRET! And I’ve proven this SECRET in South Africa – With a 32% return over the past 8 years. I use it in every investment decision I make for over 30,000 subscribers. Today I would like to invite 300 private investors to test this same SECRET to see how much it could make them. You can get started with as little as R500 a month…and it doesn’t matter if you’ve never invested or have been investing for years. Today, I’ll show you how to use this exact secret, along with nine others – Secrets that have made fortunes for other people – to see how much money it could make you. Best of all, these secrets I reveal are for anyone to use — no matter your net worth, age, or investment experience. Now you can have a fun time investing, you will also have plenty of time to do what you really want, because it takes less than a few minutes every month to use this Wealth Secret. You’ll find everything you need to know about this secret in my free book but there’s one critical secret I must share with you first…that goes far beyond making money from the stockmarket alone…. I'm not talking about second-job or working-after-you-retire income. It's much simpler than that, and my six other filthy rich secrets will show you how. The next nine secrets are all about how to tap into multiple sources of income. Traveling the world, staying in nice hotels and never worrying about the financial security of you or your family again. Is that the kind of retirement you’ve always wanted? To go on holiday to the beach whenever you want? To stay in your bathrobe until noon? Or perhaps just to ensure your children are set for life? With my free book, I'll show you how all of that's possible and much more. Now, I'm not guaranteeing you're going to make 700,000 using this secret. And better yet, you'll learn exactly how to use it. Not surprisingly, most people just have not been shown how lucrative these secrets are. 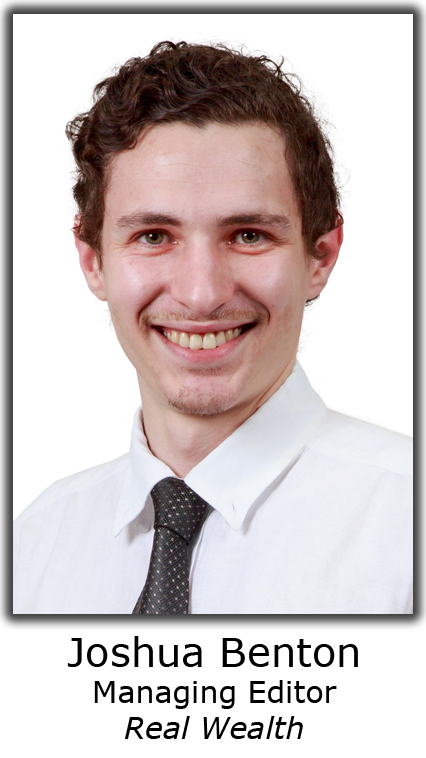 But through my work I have built relationships with this exclusive network of global and local thought leaders, people like Chris Hart, Dawie Roodt and Dan Denning. These high-level connections allow me to give my readers ‘insider’ investment insights unavailable anywhere else. 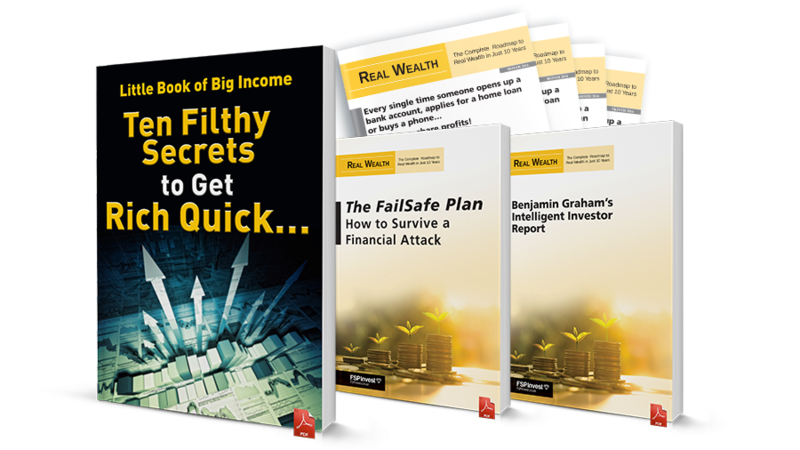 You can only claim The Little Book of BIG Income – Ten Filthy Secrets to get Rich Quick right here, right now – and it's available only to you for FREE for reasons I will reveal in just a minute. The Little Book of BIG Income – Ten Filthy Secrets to get Rich Quick is chock-full of proven tricks, loopholes, and insider secrets to living a higher-quality, wealthier, and more successful life. Listen, I don't know what your dream is. Maybe it's sitting at home all day with a great home theater system. Maybe it's traveling to Paris. Or perhaps it's exploring the Amazon jungle. But here's one thing I do know: Living well takes money. More than most people think. So, funds show up on your bank statement like clockwork? The world is your oyster when you have income for LIFE. That's why I've arranged to send you a copy of The Little Book of BIG Income at virtually no cost, as I'll explain in a moment. With this book, you will be able to generate anywhere from a few hundred rands a month up to a few thousand rands. It doesn't matter how much you've saved. Or what your balance sheet looks like. All that matters is how much you're willing to make. With these income secrets, you'll be able to set up as many reliable income streams as you want. So there's no worrying about when to retire. Or pinching pennies when you do. Which I Think You'll REALLY LIKE! One of the reasons I want to send you a free copy of The Little Book of BIG Income – Ten Filthy Secrets to get Rich Quick is that it gives me a chance to introduce you to (show off, actually) my monthly research advisory: Real Wealth. 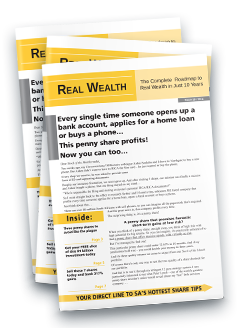 In fact, I want to send you my Real Wealth newsletter absolutely free for the next 30 days, which will enable me to provide you with research on the absolute best possible income-producing investments during the rapidly changing times ahead. The world is changing quickly – and not just politically. More and more new technologies and ideas are entering the marketplace every day, creating unique NEW opportunities to create MORE wealth with LESS work. But how do you keep up to date with all the latest opportunities – as well as any threats to your wealth or income that may emerge? Well, that's why I publish this very special monthly advisory. Every month, Real Wealth gives you the inside scoop on how to collect income like the rich – putting you far ahead of everyone else – regardless of your current financial situation, no matter who's the President, and whether the stock market goes up, down or sideways. Each month I wade through hundreds of income opportunities to give you the absolute best of the best new ways to produce income. It's like having a full team of financial researchers by your side, showing you how to make every move… assuring you opportunities to collect the income that will give you the kind of carefree lifestyle you want and deserve. How much extra will it cost you to start receiving Real Wealth? Unfortunately, this book is an E-Book only, because physically printing books isn't cheap. The thing is, I only have a limited number of copies set aside for today. And I want these special techniques to get into as many of the RIGHT hands as possible. Because The Little Book of BIG Income – Ten Filthy Secrets to get Rich Quick is full of ideas, tricks, and loopholes that would take you weeks, maybe even MONTHS to uncover on your own. So please, I urge you to act quickly to secure your copy and start making that extra income you want and deserve. We're looking for active, take-charge types who will make good use of our hard work. Not those who will just let this book gather dust and go to waste. Everyone out there is promising you ways to get rich quick, with no effort on your part. And there's a sucker born every minute that will fall for the hype. I'm not going to promise that you'll make millions of rands just by following my strategies. Although there's a chance that you might. But what I WILL promise you is realistic, practical, usable techniques. The kind you and your family can use to start generating more extra income than you ever imagined possible – starting virtually overnight. But it's up to you to make those things a reality. Click on the “Reserve Now” button below. It will take you to a secure webpage where you will pay a nominal shipping fee and send me your address so I can rush you a copy of my book. As soon as you receive your book, immediately open it and start reading. Wait… There Are MORE FREE GIFTS! I want to make your claiming of this FREE book and a month of Real Wealth the easiest decision you'll ever make. So I'm also going to send you two additional FREE Special Reports worth over R700 that will boost your income even further! 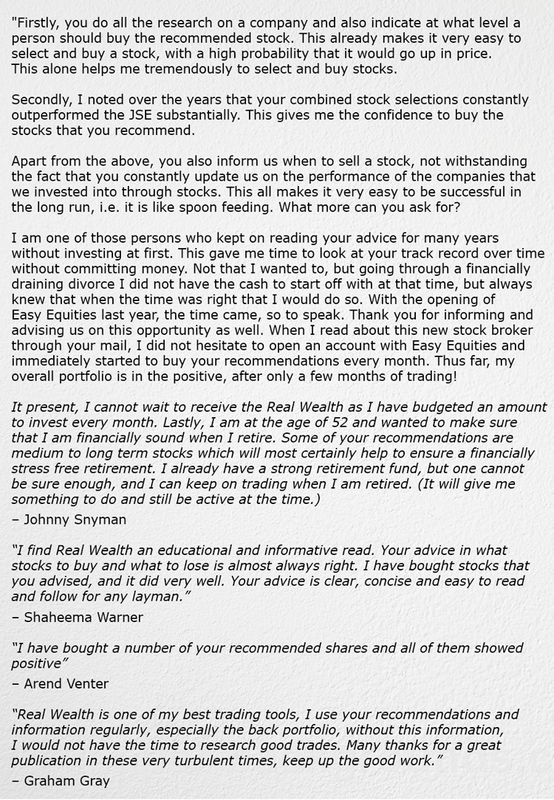 You will never have to fear a stock market collapse again, because the income secrets you will discover in my book and the monthly investment ideas revealed in my Real Wealth advisory are backed by this “Crash Alert” protection secret I want to share with you in this bonus report. Right now you have every right to wonder: if the stock market is so vulnerable— why haven't I read about this elsewhere? Why is no-one sounding a warning? Well — did anyone warn you before Lehman Bros collapsed? Or before the US property market imploded? Or before the eurozone spiralled into chaos? People never get warned. Or, they don’t listen when they are. 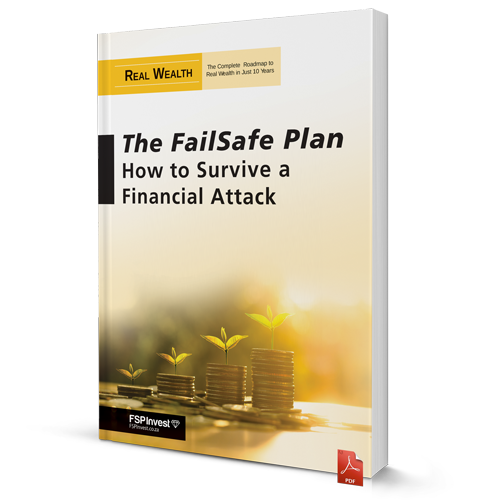 The most successful investors I know all have a fail-safe Plan - a complete investing strategy, that is quietly running in the background, is low-maintenance, but if and when the next market collapse hits, its designed to protect their income and lock in the growth. You’ll see the power of this secret for yourself when you get started. It's because I’ve gone through Benjamin Graham's The Intelligent Investor marked up and selected the really important sections. All I ask is that you pay a small R99.95 shipping charge to get The Little Book of BIG Income – Ten Filthy Secrets to get Rich Quick and all these bonuses in your hands. Of course, I'm hoping you'll stay on as a subscriber and join the thousands of people like yourself who benefit from the advice in its pages every month. But if you don't, that's fine. No hard feelings. If you decide it's not for you for any reason during the first 30 days, no worries – just call our friendly Johannesburg-based customer service staff (the number, 0861 114 365, is on all our websites) and let us know. You'll never be charged another cent. But if (and ONLY if) you like what you're seeing, simply do nothing. We'll bill your card R870 for a 1-year subscription to Real Wealth after your 30-day free trial is over. There's truly nothing to lose. But a world of instant income to gain. We’re only sending a limited number of copies of The Little Book of BIG Income – Ten Filthy Secrets to get Rich Quick. And they are available on a first-come, first-served basis only. So if you’re interested, please act soon. These are not available on Amazon.com or at any other bookstore. You can only get one right here… only by clicking the “Reserve Now” button below to get started today. This will take you to a secure order form page where you can review your order and tell us where you'd like everything sent. 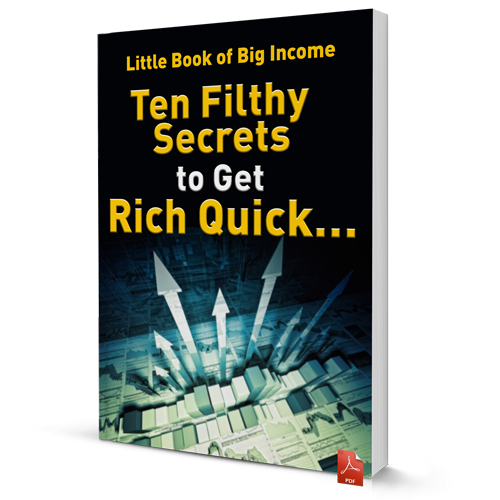 Your copy of The Little Book of BIG Income – Ten Filthy Secrets to get Rich Quick will arrive in your mailbox shortly. The bonus report will available for download within minutes of you placing your order. Looking forward to showing you how YOU, too, can get income for LIFE! P.S. The Little Book of BIG Income – Ten Filthy Secrets to get Rich Quick is HUGE. You'll receive over 196 pages filled with ideas and shortcuts to boost the quality of your life in nearly every way. And we explain every single step, free of complicated jargon. You're going to love how easy it is to implement these steps minutes after you learn about them. Best of all, it's all FREE… you just pay a nominal R99.95 to have it shipped to your home. And get over R700 worth of bonuses. Plus you're going to receive 1 full month of complimentary access to Real Wealth. Where I'm going to show you even MORE ways to make income. Every single month. There's really nothing to lose. I'm so certain you will love this that I'm willing to put a 100% refund on the line. You must be absolutely thrilled with EVERYTHING, or I'll even send you your R99.95 back. And you don't even need to send back the book. So do it right now – while you're thinking of it. Click the “Reserve Now” button to claim your free copy of The Little Book of BIG Income – Ten Filthy Secrets to get Rich Quick, all the free bonuses, and your copy of Real Wealth immediately. Yes! I want to reserve my free copy of The Little Book of Big Income and start using these wealth building secrets to set myself up for a wealthy retirement.